Just after 3pm, Millwood FD Tanker 15 was requested by The Chappaqua Fire Department to the Saw Mill Parkway southbound for an active multi-acre brush fire on the hillside along the parkway behind Spring Lane. Tanker 15 responded with Bedford Hills Fire Department Tanker 5 and Somers Volunteer Fire Department Tanker 16 to supply water to attack the growing brush fire from the highway. 30 minutes later, Millwood FD Engine 247 was request to respond to Spring Lane in Chappaqua to assist with extinguishment operations from the top of the hill and to protect potential exposure structures. 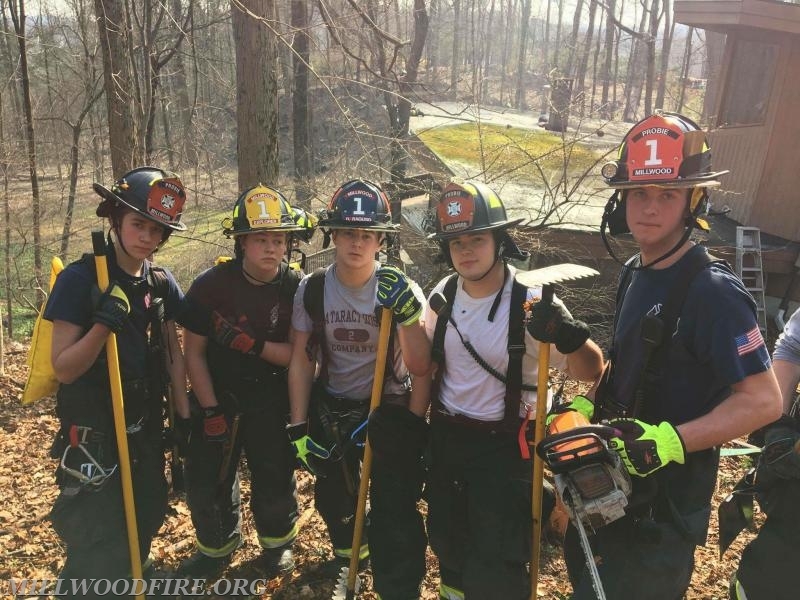 Millwood members operated with Chappaqua, Bedford Hills, Somers, Armonk Fire Department, Thornwood Fire Department, Hawthorne Fire Department, Pleasantville Volunteer Fire Department, Katonah Fire Department, Briarcliff Manor Fire Department, Mt. Kisco Fire Department and a helicopter with bambi bucket from Westchester County Police Department. Members worked tirelessly for 3.5 hours before returning to service.